If you would like to volunteer to help develop Woodcroft Wildspace please click here for our Volunteers' Page. 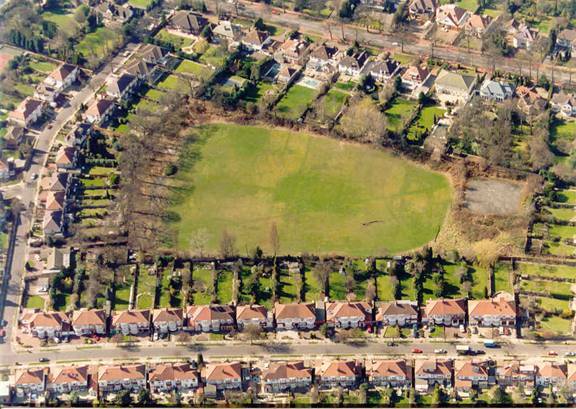 This page describes the concepts, proposals and the background to the proposed project to convert the Woodcroft Sports Ground into a Wildspace. The area concerned is shown in the map below. Click here to see the draft site plan. Until the mid 1990s, it was used as a sports facility, predominantly football. However, this use was discontinued due to poor drainage and regular flooding. The land is currently un-let and used as casual recreation space with no tenancy arrangements in place. The Council has consistently tried to obtain a tenant for the land but without success. The land is subject to covenants to the effect that it shall only be used for recreational purposes. The idea is to turn the Woodcroft Sports Ground in Winchmore Hill into a local nature reserve; the Woodcroft Wildspace. The Woodcroft Wildspace will feature nature trails through managed woodland, wetland and meadow areas, all of which will be designed for full disabled access. The project will also include the creation of a new Wildspace Centre. The Wildspace Centre will be a comprehensive multifunctional building with teaching, field study, meeting/exhibition and refreshment/cafe areas, as well as a themed soft play/sensory room, plus modest indoor and outdoor auditoria. The idea is to make the Woodcroft Wildspace as inclusive as possible, and to encourage the entire community to take part in both the creation and day-to-day management of this exciting new public resource. In order to reduce any impact on the surrounding streets, the scheme also includes car parking areas. Click here to see the draft site plan. An independent Wildspace Trust has been established and has obtained charitable status in order to obtain funding from a number of different public and private sources. The Trust also created a Limited Company to ensure sustainability by managing income from various complimentary commercial operations. As this is a non-profit community business, the Woodcroft Trust may also be eligible for social enterprise funding. A small number of private individuals and potential corporate sponsors have already been 'sounded out' with this idea, and all have shown interest in becoming associated either with the management or funding (or both) of this new venture. Several local schools have also indicated a willingness to play a part in the design and creation of the Wildspace, and there is no doubt that many local businesses and residents' groups will also want involvement in this project. 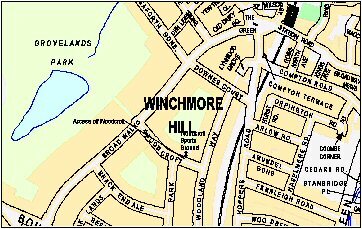 The project has received wide support from Councillors and the Winchmore Hill community. The consultation which has taken place so far - a questionnaire to residents and an open day at the ground - has shown overwhelming support for the scheme. The questionnaire had the highest response of any previous questionnaire on any subject and the following open day had an attendance of over 400 people. To see how we are progressing go to our home page for the latest work, and our photo gallery to see what progress we have made since the project began. Enfield Council sold off some of the land in 2015. This land was subsequently sold to another developer during the summer of 2017 and work began January 2018. Access to the Wildspace was changed from Woodcroft to Downes Court. We look forward to a long and committed future for Woodcroft Wildspace, continuing to deliver a premium educational wildspace for the benefit of and participation with, the whole of the Enfield community. Credit should be given to Councillor Martin Prescott for both initiating the ideas and also promoting the proposals to the Council.